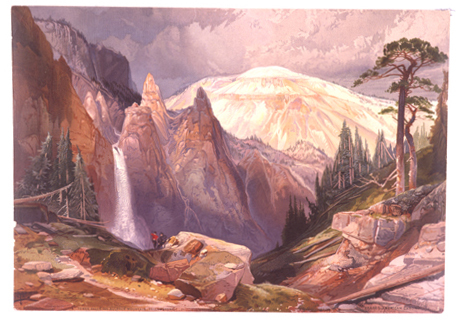 Today in History–February 12–the Library of Congress features painter Thomas Moran, born on this date in 1837. In 1871 Moran joined a scientific exploration of lands along the Yellowstone River headed by Ferdinand V. Hayden. Moran’s paintings, together with photographer William Henry Jackson’s photographs, helped spur public interest in the area and convince Congress to set aside the Yellowstone area as a national park in 1872. Learn more by visiting the Today in History section and by clicking the related links below.